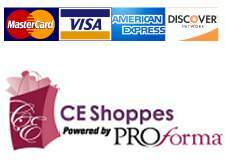 An ideal corporate gift, make a lasting impression with these full color process coasters that are stored in a full color tin that has ample space for your brand's logo. High quality brand recognition with photo-like imagery. 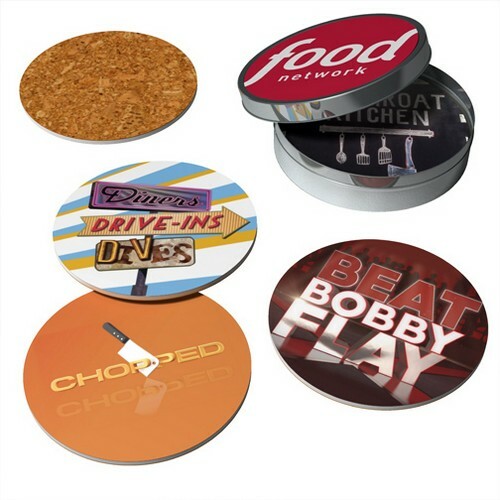 Durable, absorbent coasters proect tabletops and destops from cup rings. Includes 1/8"cork backing with 20 mil clear top and full color process imprint for your customizable advertising needs. Unique imprint on all 4 coasters and tin for a can't miss promotion. Max Imprint Area:TIN: 4 diameter, COASTERS: Round Coaster-3 3/4 diameter 1/8 Cork, 20 mil acrylic.